Crafts, Metals and Ore Refining with a Twist! 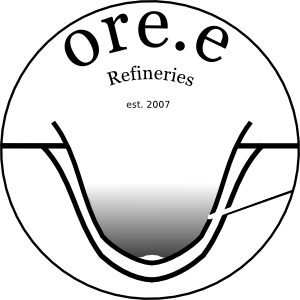 If you are an artist using metal for printmaking or sculpture, a designer looking for new materials or an ethically concerned professional in need of craft services, Ore.e Ref. is a f-l-e-x-i-b-l-e partner for you needs. We can provide you with both unique raw goods and technical assistance in your craft related projects. At Ore.e Ref. we believe that the materials you use in your work have meaning. We use cost effective handicraft methods and the raw materials we work with are specifically selected to each project and based on local resources. We work internationally at any given site, using our mobile and modifiable equipment. Many of the devices we use can be built cost effectively and ecologically in any location. Our experience in international projects and crafts enables us to work in demanding locations and invent solutions even in locations which are technologically challenging. Business Services Sales Staff Press/Investors/Etc.